Before his death in July 1826, Thomas Jefferson wrote the epitaph for his own gravestone and insisted it carry ‘not a word more’. It read: ‘Here was buried Thomas Jefferson, author of the Declaration of American Independence, of the Statute of Virginia for Religious Freedom and Father of the University of Virginia.’ He could have listed much more. Third President of the United States, Vice President, Secretary of State, Congressman, Virginian Governor, writer, lawyer, scientist, architect – he filled the sweeping categories of a universal man. Yet he wanted to be remembered as the author of two statements of freedom and the founder of a university. How incongruous it seems today: to link higher education to the higher ideals of liberty. Universities have become the antithesis of freedom. Their governance has become weak and self-serving, in the hands of vice chancellors incapable of resisting the institutional takeover of the Left. Campuses are now riddled with PC restrictions on speech and academic inquiry.Students and staff are herded into the identity groupings of race, gender and sexuality, losing the freedom of individuality. Post-modernism has infiltrated every faculty, every discipline, demanding the rewriting of history and the recasting of our civilisation as the work of bigots and barbarians. These things are true in Australia and comparable countries, including the United States. Two centuries later, would Jefferson still want such an association, his life memorialised by the civic embarrassment of the modern university? I doubt it. Higher education has deteriorated so badly, so quickly we are now involved in a civilisational struggle to bring it back into the mainstream of society. This is critical work, requiring a new approach to university funding and staffing. 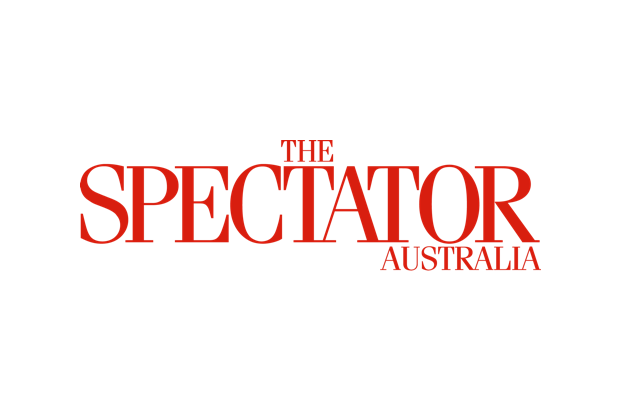 Institutions that abandon the Australian values of freedom, pluralism and meritocracy can no longer expect to be funded by the Australian taxpayer. To earn the gift of public money they need to serve the public interest. The evidence suggests universities now serve themselves, having been colonised by mutant strains of left-wing activism. How can the scale of the takeover be measured? Fortunately there’s a ready reckoner: the essays published daily on the Conversation website, billed by Australia’s university sector as ‘unlocking the knowledge of researchers and academics to (solve) society’s biggest problems.’ I’ve read this material for the first three weeks of July, a total of 122 items, reflecting the priorities of the nation’s scholars. What type of issues are they interested in? By far the largest category is environmental advocacy, with 27 articles or one-quarter of the total. This includes a couple of global warming gems. Academics have discovered that ‘instant coffee has the smallest carbon footprint’ and ‘artists can put us in touch with our feelings about climate change’. Mainly BS artists. I was fascinated by the findings of a Melbourne University research fellow on the ‘psychology of meat eating’. As a keen carnivore, apparently I’m suffering from ‘unconscious bias’ against the ‘mental lives of animals’. It sure doesn’t taste that way. The other categories were predictable enough. There were seven essays on Aboriginal victimhood, three on refugees and ten on foreign policy, mostly Trump Derangement Syndrome. Left-feminism was also prominent, with ten items. My favourite was an explanation of ‘Why couples sleep better in more gender equal societies.’ I also found out how women have abortions because of ‘male violence’ and the way in which companies need to manage ‘menopause in the workplace’. A key goal of neo-Marxist politics is to interfere in the nuclear family, to spread Safe Schools-style notions of gender fluidity. Universities are taking this a step further, shadowing the decisions of parents in how they raise their kids. One in nine of the Conversation essays were about children. A special section has been developed on ‘evidence-based parenting’. Australian academics have become obsessed with other people’s children – a creepy, new dimension to university life. The remaining essays focused on miscellaneous left-wing themes, such as supporting the ABC, re-regulating the economy, increasing education funding and legalising cannabis. None of them called for a cut to Big Australia immigration. Only one of the 122 articles advocated micro-economic reform as a way of lowering unemployment (via greater labour market flexibility). The brave fellow who wrote it now has a job security matching my tenure at Sky News. The university system is a striking example of Insider/Outsider politics. As taxpayers, the Outsider majority of Australians are forced into funding the wacky, self-indulgent research of an Insider minority. This is one of many ways in which we have become a divided nation. Last Saturday I was in the seat of Longman, north of Brisbane, campaigning with the Liberal Democrats candidate Lloyd Russell. It’s a microcosm of middle Australia. The voters there had three big priorities: cutting immigration, ending political correctness and creating jobs. They are a world apart from the abstract leftism of university interests. People in Longman lie awake at night worrying about their family budget, while inner-city academics are paid to study the sleeping habits of Mr and Mrs ‘Gender Inequality’. We can’t continue as two Australias. People in the suburbs and regions have real-life problems requiring serious solutions. If the university system is off on a tangent, peddling irrelevant sludge, it should be defunded. Only by returning to the mainstream can it be worthy of public support and public money.